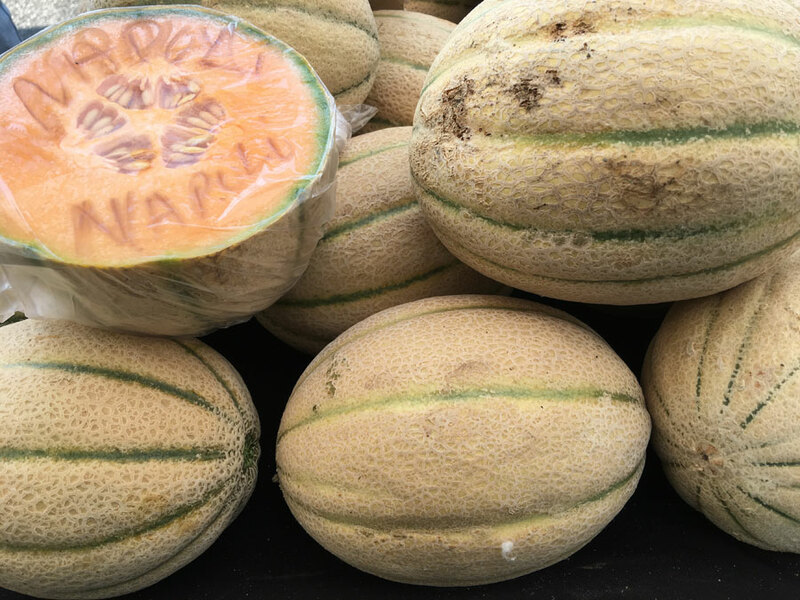 Ambrosia Melon: An exotic specialty melon hybrid that could be easily confused with a cantaloupe, but it’s quite different. The tender flesh is pale orange in color and very sweet. 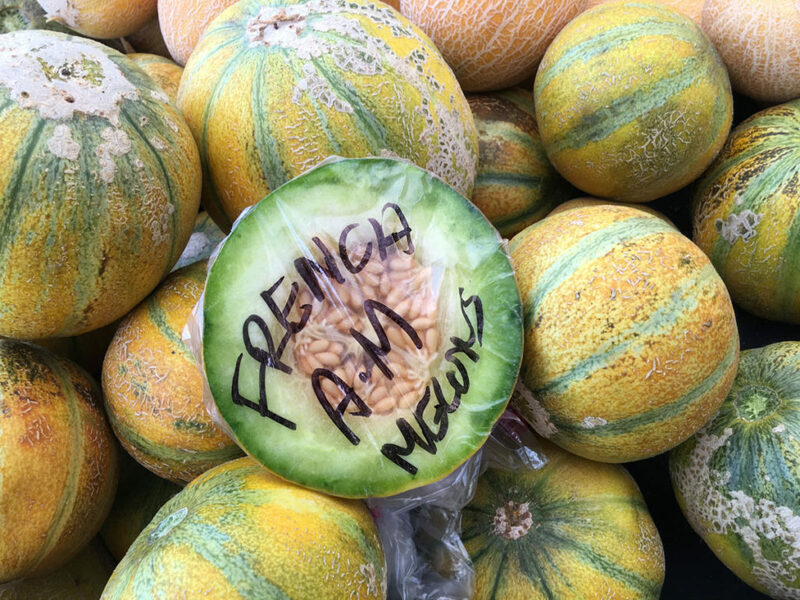 French Morning Melon: Similar to the Cavaillon, which is the most popular melon in France. It is the size of a large grapefruit, with smooth, greenish skin sectioned in darker stripes and slightly sweet light green flesh. 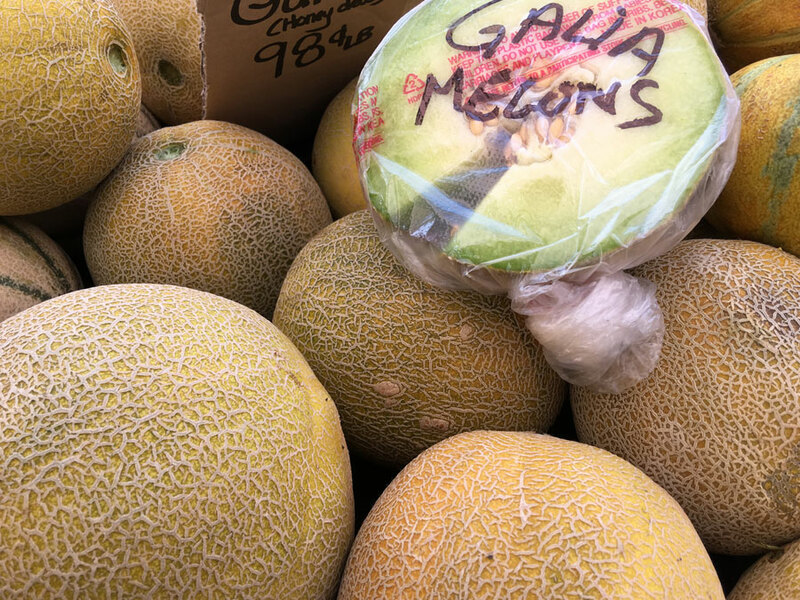 Galia: A hybrid of cantaloupe and honeydew melons that originated in Israel. The outer shell takes on the characteristics of the cantaloupe while the flesh is light yellow to green like the honeydew. The taste is also a unique combination of the two varieties. Napoli: Italian (Tuscan) style melon with deep sutures. 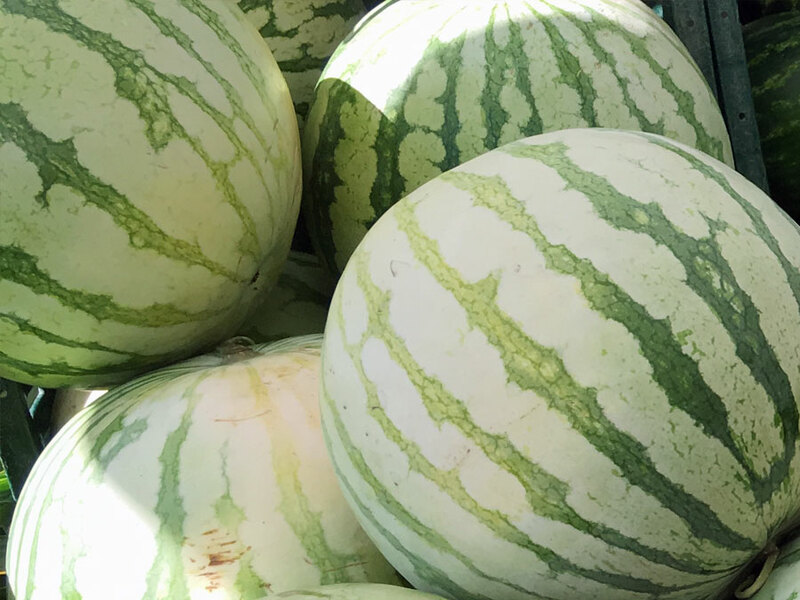 This delicious specialty melon yields 2 to 3 pound netted melons with small seed cavities and deep orange sweet flesh renowned for complex rich flavor and spicy floral aroma. 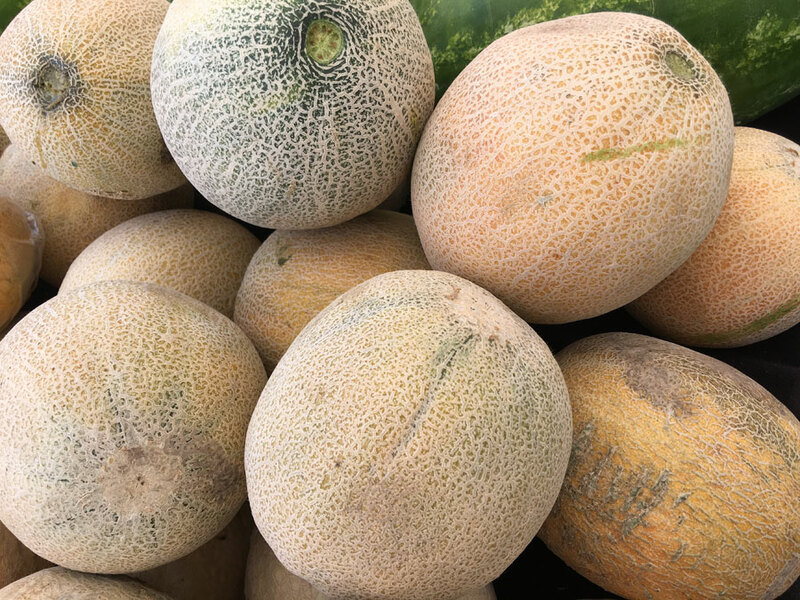 Sharlyn: Also, a hybrid of the cantaloupe and a variety of honeydew, the Sharlyn melon has a cracked skin with tan and yellow-orange coloring and a more elongated shape than the Galia. 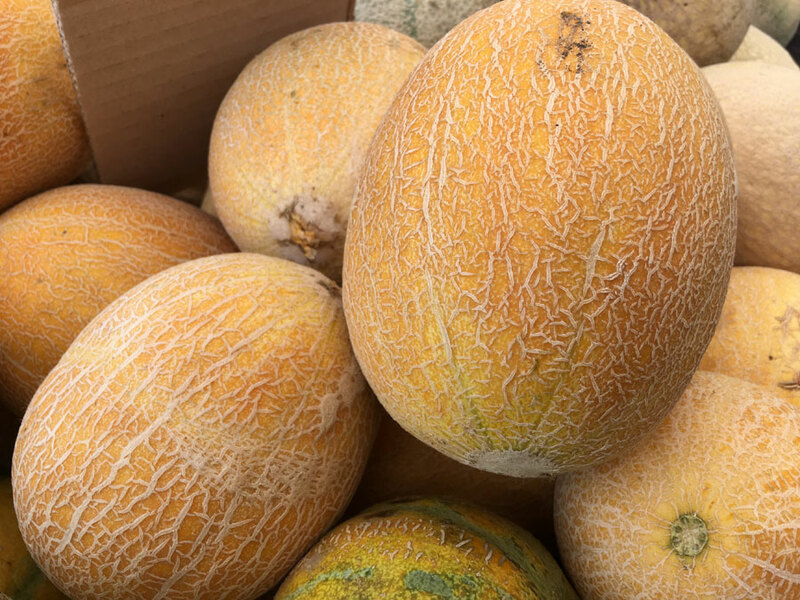 More restrained than the flavor of cantaloupes, the Sharlyn offers a lighter sweet flesh that is soft near the center and more firm near the outer rind. 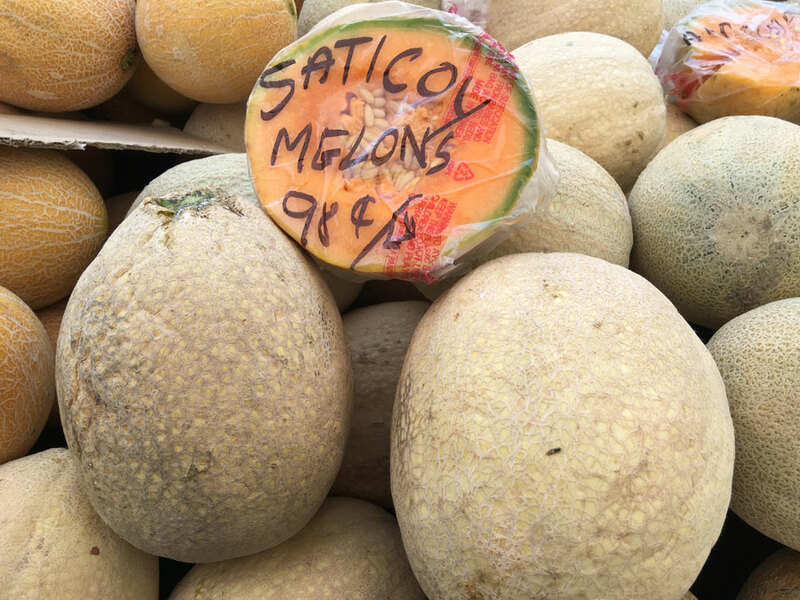 Saticoy Melon: Similar to the Cantaloupe, but oval in shape and the netting on the skin is much more course. The flesh is vibrant orange and sweeter than Cantaloupe. 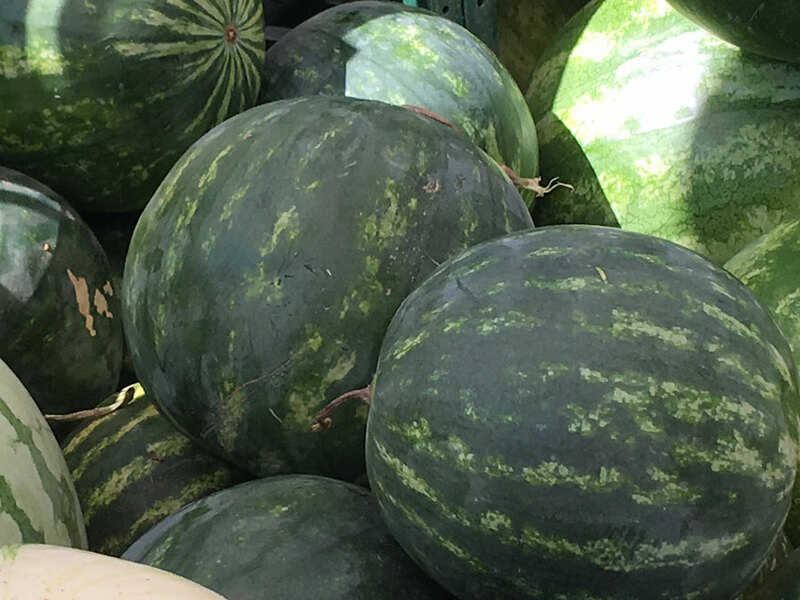 Red Watermelon (Common/Seedless): The seedless variety has the same two-tone variegated green skin and the ruby red juicy, sweet flesh as the common watermelon. The shape is more round like the Yellow variety, whereas the seeded variety is more oblong and long. To produce the seedless variety it requires cross pollination with the seeded variety which produces the small amount of white edible seeds you find in contrast to the black thicker seeds in the traditional type. 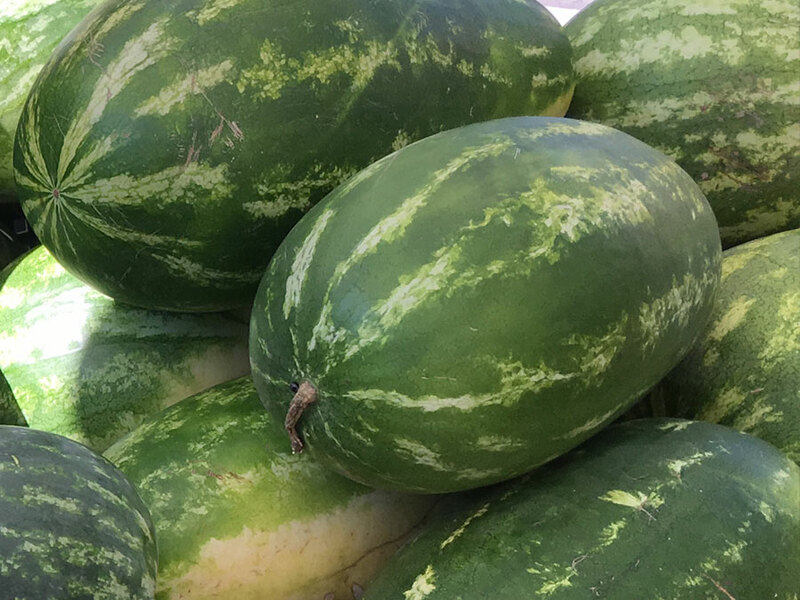 Red Mini Seedless Watermelon: Just like it’s larger counterpart only smaller and more compact. Flesh is denser but same ruby red color. Yellow Watermelon: Small and compact, they taste like red watermelon and have the same greenish rind.